This package is a complete remote start kit for Compatible With: (2008-2014 Nissan Frontier), (2008-2012 Nissan Pathfinder), (2008-2014 Nissan Xterra) - vehicles with regular key. Included 4-button remotes can take the place of most factory remotes, providing dedicated lock, unlock, trunk release, & start/stop button functions. The kit features the Crimestopper RS4 Remote Starter, the Fortin EVO-ALL DATA & Keyless Bypass Module and a complete detailed instruction sheet made by our professional technicians to assist with the installation in YOUR vehicle. We also include a vehicle-specific wiring chart that shows the color and location of all the wires in the car you'll need to connect to. *Just include the year of your car with your checkout info and we'll send the chart for that specific year. REMOTE START PACKAGE OVERVIEW - This is a complete remote starter kit for Nissan & Infiniti vehicles. 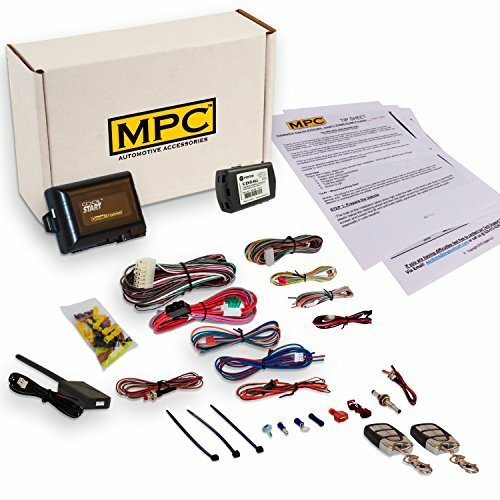 The kit includes a Crimestopper RS4 remote starter, bypass module, and all parts required for installation. Compatible with automatic transmission vehicles only. *Nationwide professional installation is available as an upgrade. Call us for details. MPC TECHNICAL SUPPORT - A link will be provided to download MPC's exclusive copyrighted step-by-step installation tip sheet made by MPC's professional technicians to help you through the installation process. In addition, we offer free USA technical support by phone or email, Monday through Friday between 9am to 5pm Arizona time.